When dealing with older homes, I realize that old houses aren’t perfect but can be still structurally sound. 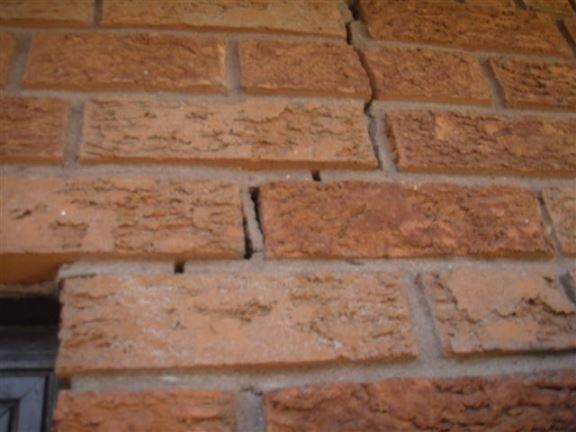 On the other hand, one common issue I see is older houses with poured concrete or rubble stone foundations, which can deteriorate over time and are potentially costly to fix. 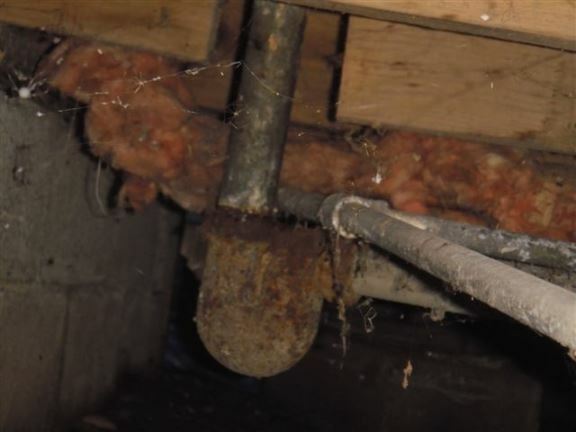 Plumbers have a bad habit of cutting floor joists that are in the way. The bathroom floor now slopes. 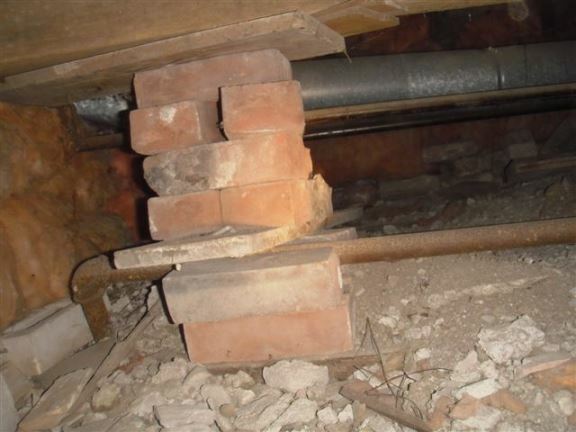 This brick chimney suffers from water damage and is beginning to crumble/spall. Soon it will need to be taken down and replaced. 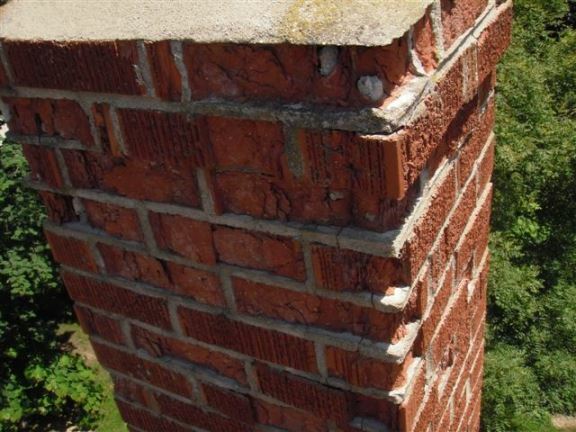 This chimney cap is cracked, and when moisture gets into the cracks it will cause further damage to bricks below. 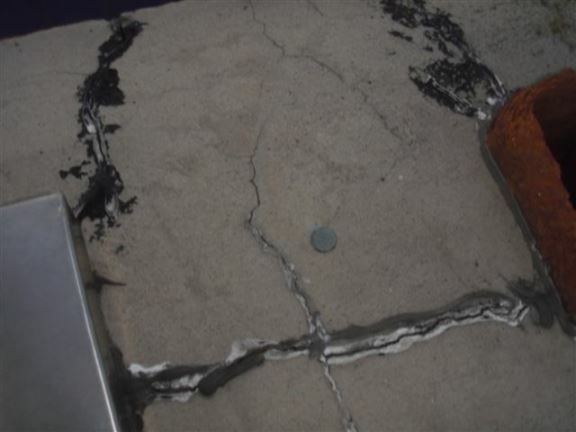 This is a typical crack in the bricks near a garage door. 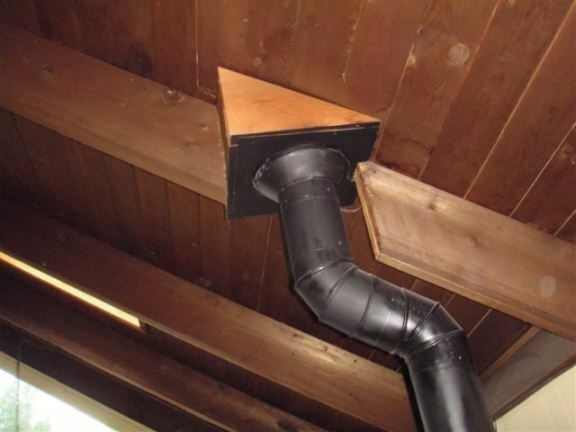 Whoever installed this wood stove pipe decided it was a good idea to cut through the roof rafter rather than moving the pipe. This will cause the roof to sag, plus the fact that it’s a fire hazard. 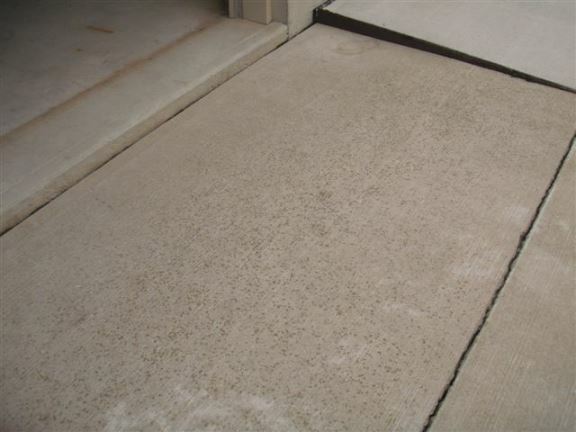 This slab driveway has settled, causing a trip hazard. A major fire has caused damage to the attic structure. This precarious deck support will eventually give way, leading to failure of the deck itself. 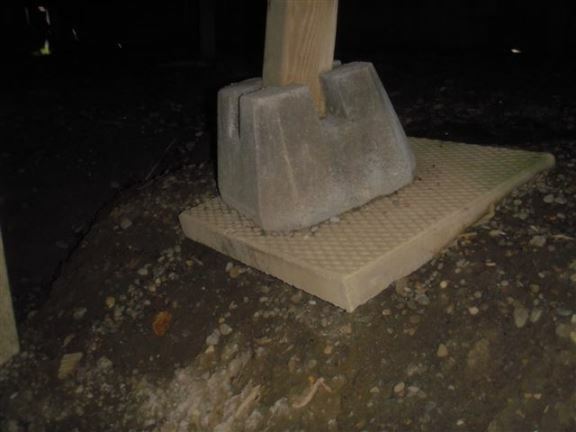 This is a common improper support pillar found in crawl spaces. 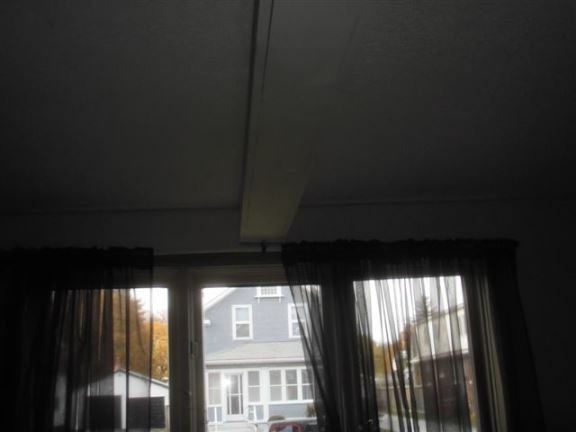 It appears that no header was installed over a window where a wall was removed and a beam was installed. 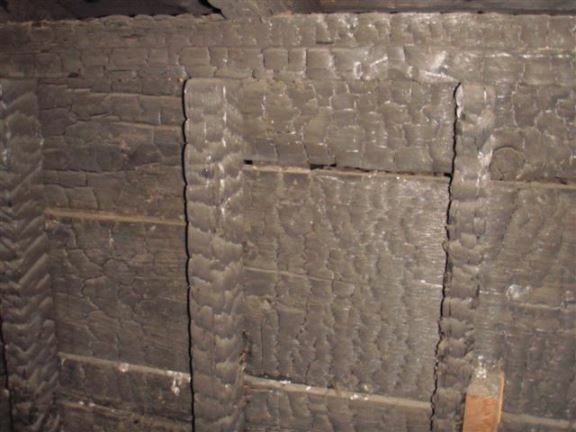 This shows a rotted sill plate with evidence of powder post beetle damage. 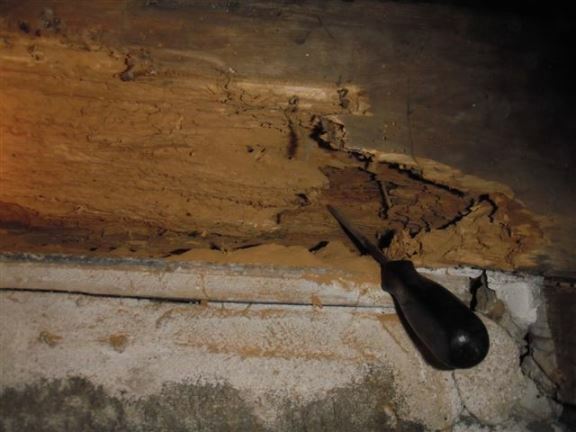 This wall was not extended past the foundation, causing water to run under the sill and rot out the base of the wall. 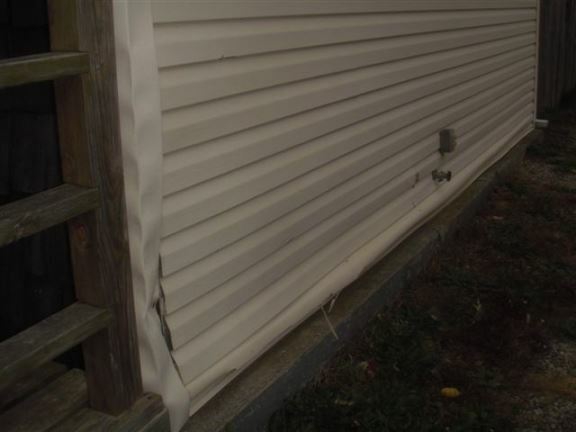 The siding is now bowing out. 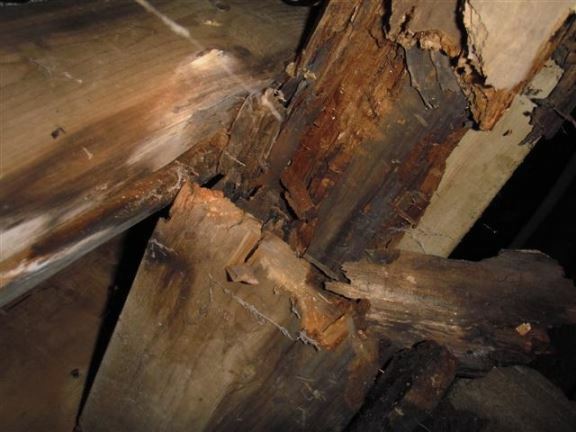 This split roof rafter has completely failed – can cause roof sag or full collapse. 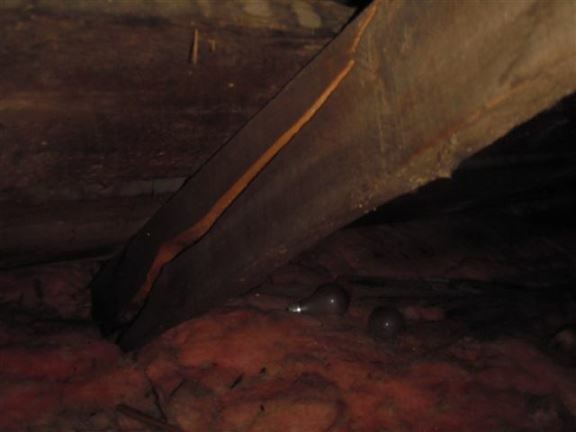 This is typical rot to floor joists and a beam in a house with a crawl space. This will be very costly to repair.